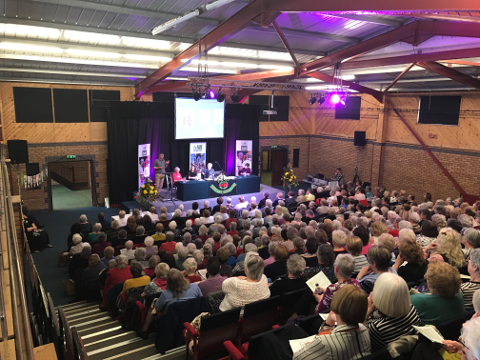 Over 400 members attended the Wales Conference in Dolfor, Powys on 17 April 2018. 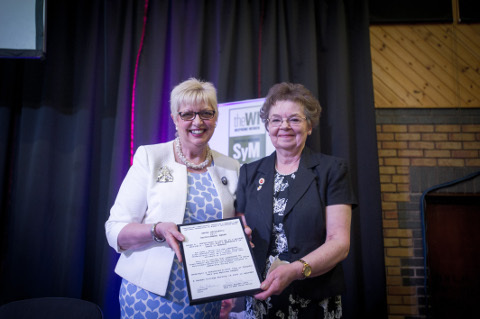 Based on the theme "Links", members were welcomed to Powys Montgomery by Jean Hurrell, Chair of Powys Montgomery Federation and Councillor Joy Jones, Chair Montgomeryshire. 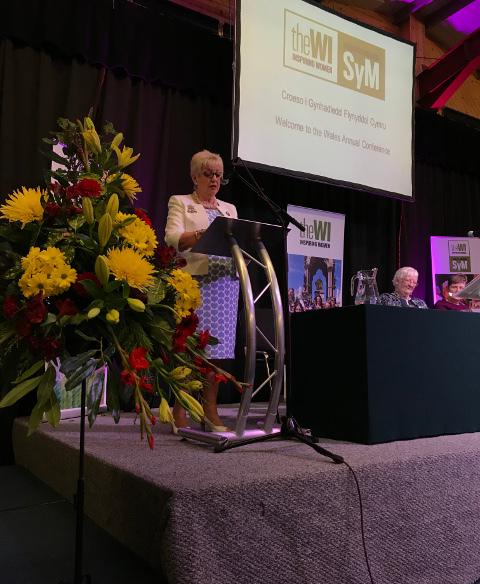 During the morning session, members were also addressed by Lynne Stubbings, Chair of NFWI; Mair Stephens, Chair of NFWI-Wales; Rhian Connick, Head of NFWI-Wales and Dr David Slawson, Director Open Air Laboratories Programme (OPAL). The winners of the 2017 Recruitment Awards were announced. 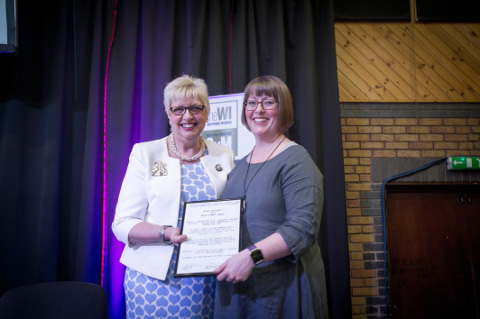 The winner of the ‘WIs with fewer than 25 members’ category was Llandegley WI, Powys Radnor Federation, and the winner of the ‘WIs with 25 members and over’ category was Carneige Girls WI, Glamorgan Federation. The winners of the 2017 Rose Bowl and Brecon Cup competitions on the theme ‘Space’ were presented with their awards by Lynne Stubbings. 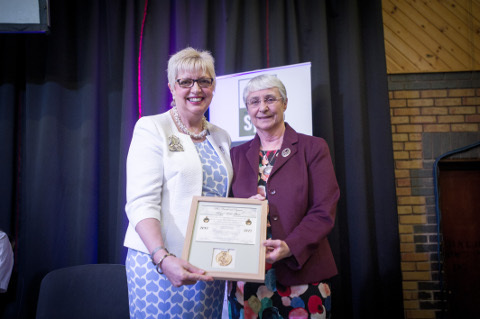 Rosemary Jones from Llangeler Petrecwrt WI accepted the Rose Bowl award on behalf of Sir Gâr/Carmarthenshire Federation. 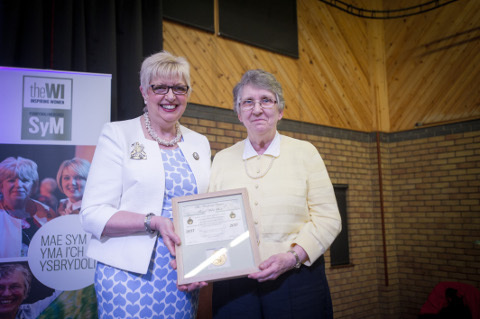 The Brecon Cup was awarded to Gwent Federation and was accepted by Val Robinson, Chair of Gwent Federation. 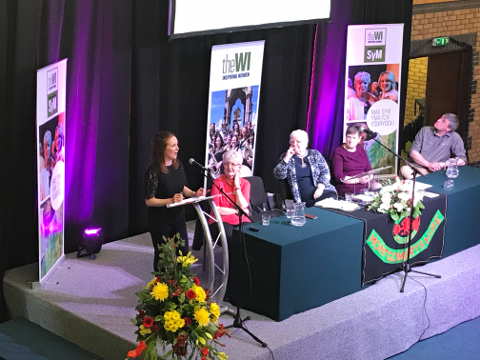 During the afternoon session, the Conference was addressed by historian and librarian Mary Oldham; historian Gary Ball from Project Zero; and adventurer Tori James. Extreme adventurer Tori James spoke on 'Altitude and Attitude' sharing highlights of her many achievements including becoming the first Welsh woman to climb to the summit of Mount Everest and taking part in the Polar Challenge, which involved skiing and dragging sledges for 360 miles in subzero temperatures. Mary Oldham addressed delegates about ‘The Davies Sisters of Gregynog: Two women of Wales and their world of Art, Music and Philanthropy'. Gwendoline and Margaret Davies were wealthy women who loved art and music but who dedicated their lives – and their fortunes – to the people of Wales. They left their wonderful art collection – works by Monet, Manet, Renoir, Degas, Cezanne and Van Gogh - to the nation, to be displayed forever in the National Museum of Wales in Cardiff. Their home at Gregynog Hall in Montgomeryshire became a national centre for art, music and fine printing, and the conferences they hosted drew distinguished visitors from all over the world. Project Zero is researching the role of the airship in Wales during the First World War. Gary Ball shared stories of some of the remarkable women who found themselves part of a secret air war being fought over the coasts of Wales. 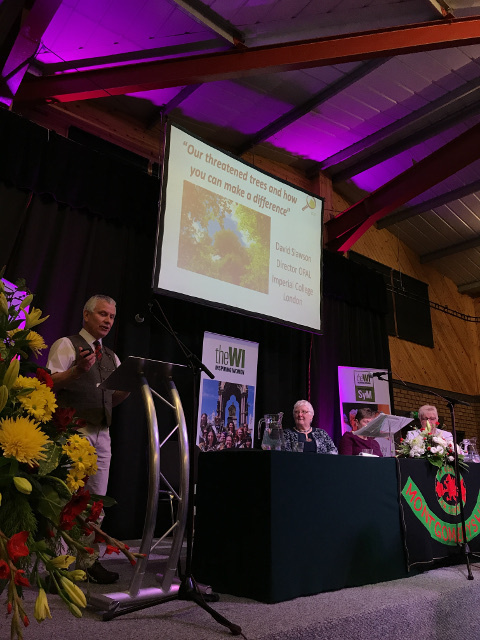 Dr David Slawson spoke on the theme 'Our threatened trees and how you can make a difference'.